Tuesday, May 8, 5:30 p.m.
Atlanta Track Club members wishing to take part in the mile as part of the 2018 Grand Prix Series MUST pre-register for the mile in order to be included in the Grand Prix results - no race day registration will be available for these events. 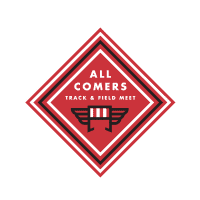 Please note that registering for timed Grand Prix track events is in addition to the general registration required for every 2018 All Comers participant. Registration for the Grand Prix mile closes Sunday, May 6 at 11:59 p.m. While all events are hand timed, results are not recorded except for those pre-registerd for the Grand Prix Mile and Elite races.